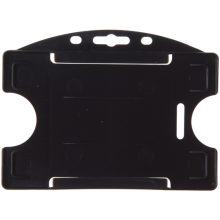 Keep your card securely in place with an open face rigid badge holder. 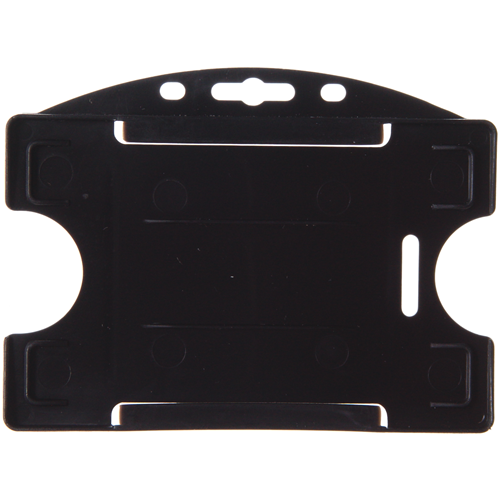 Molded, semi-rigid plastic in credit card size. Maximum card dimensions 2 1/8" x 3 3/8"
Slot and chain holes to use with various attachments.